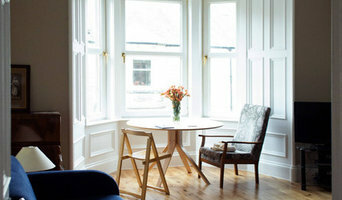 McFarlane Joiners & Builders are timber frame house builders with offices in Edinburgh and Fife. 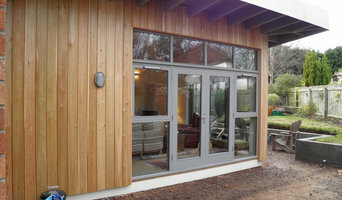 We design, manufacture and supply precision built kit homes to self build and commercial clients throughout Scotland. Our complete design and install service allows us to work closely with our clients in producing a truly bespoke kit home that larger manufactures cannot match. All timber frame homes are structurally graded and are built using timber sourced here in Scotland. With over 13 years experience in the construction and refurbishment industry as a joiner, builder and carpenter i am currently studying an HNC in Architectural Technology. With the intention of completing the degree part time also. Upon completion of the degree (or whilst) i intend to start a design and build company. Integrating my technical knowledge, first hand experience with the academic advantages of the above qualifications with my passion for architecture and design. Gordon Melrose Building Design provides architectural services for private and commercial clients, which are tailored to suit each individual project and client. Since the practice was established in 1995, we have undertaken over 1400 projects from small domestic alterations, to large scale school & commercial buildings. The practice’s philosophy is to provide high quality design based on the clients’ requirements, including budget. This includes taking a practical approach where necessary to avoid over complicating construction, which can result in escalating costs. We believe that working closely with clients in the early design stages, eliminates unforeseen cost ‘surprises’ during construction, and ensures an end product which fulfils the clients’ requirements. For bespoke houses, we believe that standard house designs should be avoided, and that as each site has its own individual qualities, then the new house should be individually designed to make best use of these. This ensures that the building takes advantage of the site, best views, sun orientation, access points etc. This does not necessarily result in additional building costs. 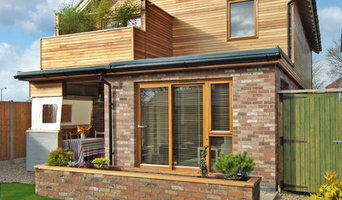 This design ethos has been applied to all projects, resulting in successful completed buildings and satisfied clients. 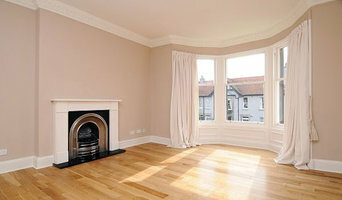 DMR Builders is a professional home refurbishments specialist in the UK. We have more than 25 years of experience in extensions, loft conversions and kitchen fitting. Besides that, we also deal in the flooring, tiling, plumbing and heating, fencing, driveways, landscaping and electrical services. Our motive is to provide high-quality work and customers satisfaction. Our workers a hard worker, friendly in nature and always available to assist you. Call us on 07872 613 924 or visit our website if you have any query. SpecifiedBy is a smart database of over 13,000 building products with project management, technical search and comparison features. Making for efficient research & better informed specification decisions. As with all other professional services for home design and renovation, the best way to choose a building designer in Heriot, Scottish Borders, UK is to asses their past work against the style and requirements you have for your individual project. The role of building designers has evolved from traditional drafting services to building design that takes into account your lifestyle, budget and site condition. Building designers in Heriot, Scottish Borders, UK also often work with contractors to ensure that structural elements are in line with desired aesthetics. Once you have a shortlist of building designers in Heriot, Scottish Borders, UK, engage in face-to-face talks about your brief, to ensure you’re on the same page. To get the most value for your money, you want someone who understands you, agrees with your ideas – in relation to sustainable design, space and function – and has the qualifications and enthusiasm to translate ideas to paper and into a reality. Look through Photos of house designs to find projects similar to your brief. Then, click through to the professional responsible for your favourite picks, browse their latest projects and read reviews. Once you’ve created a shortlist of Heriot, Scottish Borders, UK building designers, strike up a conversation with each one and you’ll be one step closer to the house of your dreams!